Alas, the “Great Salt Myth.” Are salts created equal? Not quite. Commercially manufactured iodized salt is heavily processed and highly refined to remove impurities. Those impurities however are the trace minerals our body needs. Further degrading the quality, anti-caking agents have been added for uniform pouring since the early 1900s. Table salt is 99% sodium chloride and 1% trace minerals. In contrast, Redmond Real Salt, mined underground from an ancient seabed that is now central Utah, is 97% sodium chloride and 3% trace minerals. That 3% contains 60 trace minerals. 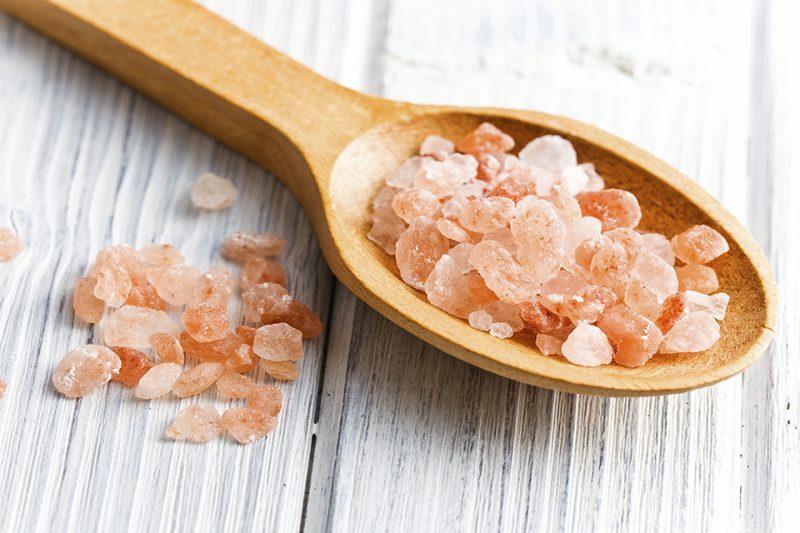 Himalayan sea salt, from an ancient seabed protected by lava, is 86% sodium chloride and 14% trace minerals of which there are 80+. What does all this mean? Reducing intake of processed foods high in sodium makes room for the use of mineral rich sea salts for most people. Our bodies really do require sodium for many important functions and benefits from the many trace minerals. There are exceptions, so it is imperative you check with your doctor. Regarding cholesterol, the nutrient-dense animal foods listed in part three of the Mineral Message comprise 25% of the 1,100 to 1,700 milligrams of cholesterol we may have in our blood on a given day. The remaining 75% is actually produced inside our bodies by the liver. It has been shown that dietary cholesterol has very little impact on blood cholesterol levels in 75% of the population. The other 25% are referred to as hyper-responders with their cholesterol showing a moderate increase in LDL and HDL but does not affect the ratio of LDL to HDL or increase the risk of heart disease. Although other risk factors should not be dismissed, evidence suggests that the LDL particle number is a much better marker of heart disease risk than LDL level or total cholesterol level. I originally planned to “examine more closely” the fact that if nutrient minerals are not in the soil, they can’t be in our bodies. It is such a simple fact but most of us are just not aware of the importance of our soils and how they serve as “the plants’ stomach.” By feeding the soil rather than the plant, we can ensure we get an abundance of the mineral nutrients we need. It all begins with a basic soil test indicating the levels and ratios of 11 mineral elements found in all soils. When we know where we are, we can determine where we need to go to balance these minerals for optimum nutrient density and flavor. Whether you are a home produce gardener, an organic farmer, or a rancher, healthy soil means healthy people and animals. For further reading and research citations, see http://chriskresser.com/popular-posts/. Chris Kresser, M.S., L.Ac is a globally recognized leader in the fields of ancestral health, Paleo nutrition, and functional and integrative medicine. Chris was recently named by Greatist.com as one of the 100 most influential people in health and fitness, along with Michelle Obama, Michael Pollan, Dr. Andrew Weil, Tim Ferriss, Mark Sisson, Robb Wolf and Dr. Mercola—and his work is frequently cited in national publications such as Time, The Atlantic, and NPR. ← Are We Really What We Eat?